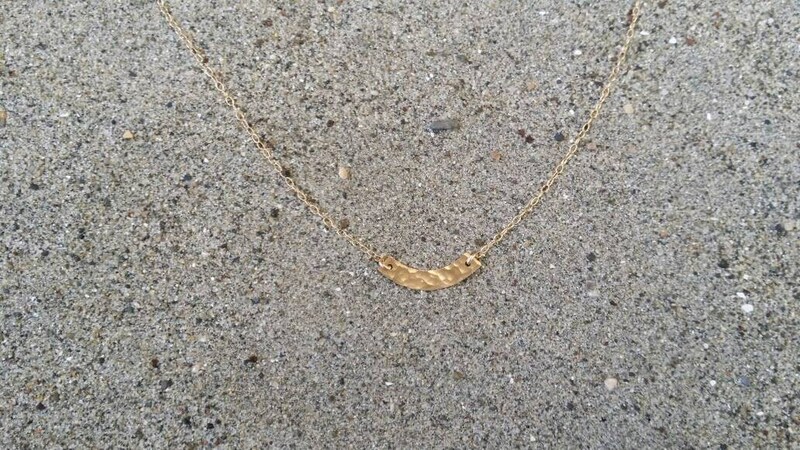 Tiny curved bar necklace. 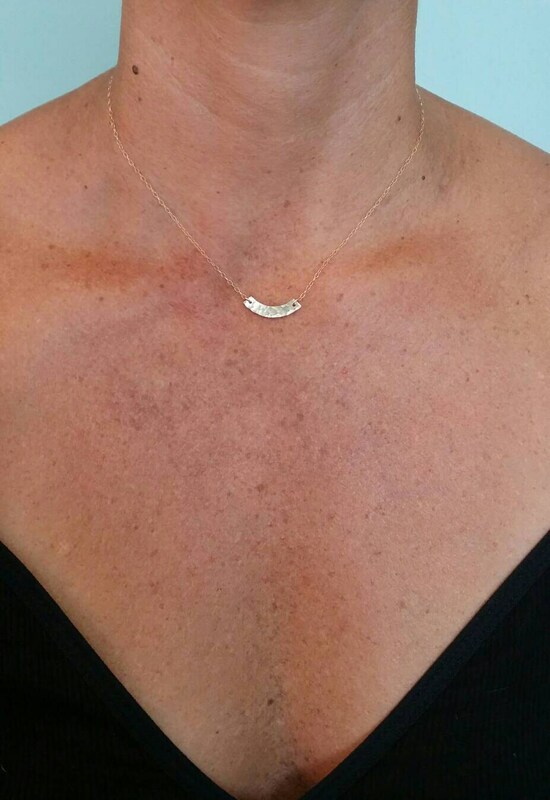 This tiny curved bar has been hammered to give it a beautiful texture and to add some shine. 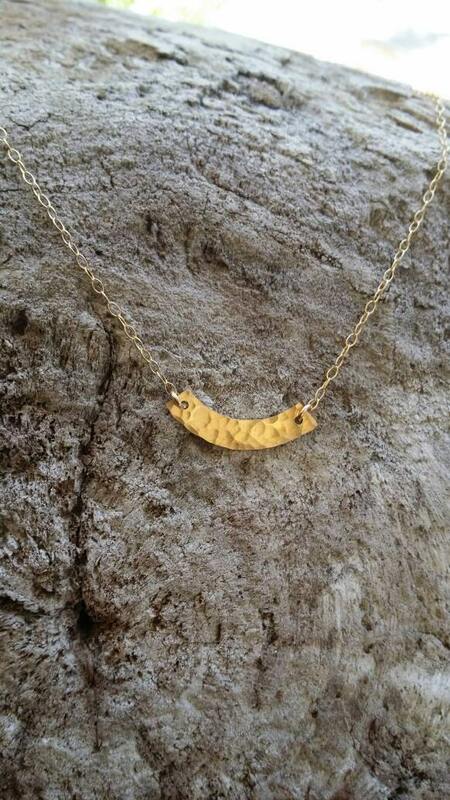 The bar is gold fill and hangs from a delicate but strong gold fill chain. 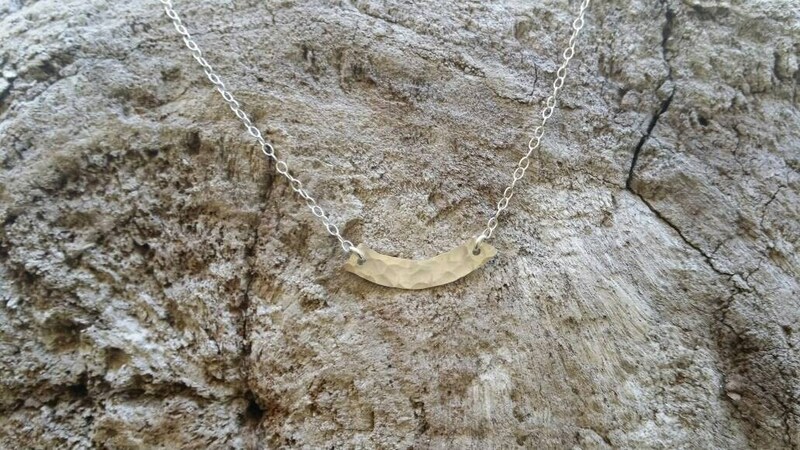 Also available in sterling silver as see in last photo. 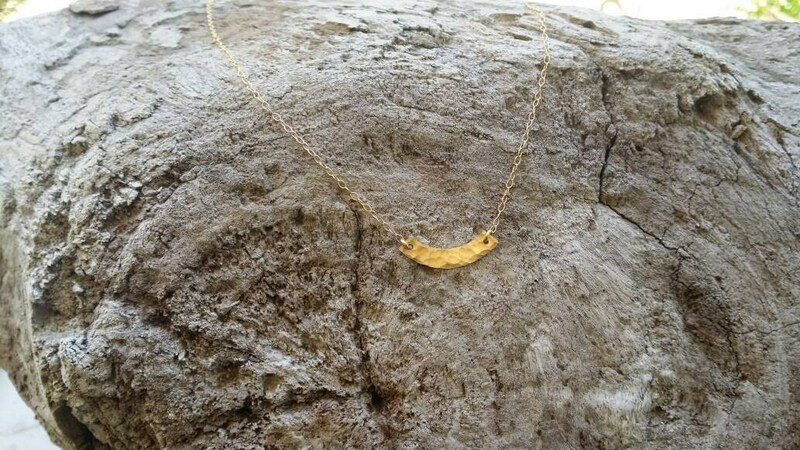 wearing it now, beautiful and so comfortable to wear, the hammered look is great ! I ordered the gold & silver (couldn't decide). I'm happy I did - love them both! Love the necklace . My third item from this seller . Great quality and fast shipping . Thank you !